Silent Signal is a group exhibition, bringing together work from six groups of animation artists and scientists who have created experimental animated artworks, exploring new ways of thinking about the human body. They are the result of a two year collaboration between the artists and scientists to produce an artist response to scientific research. From exploring how our immune system functions to how diseases spread to how our genetic code can be manipulated, the resulting animated artworks create a fascinating exhibition. The exhibition was curated by Animate Projects, supported by a Wellcome Trust Large Arts Award and involves work by BU’s Vicky Isley and Paul Smith from the Faculty of Media and Communication. Their project – AfterGlow – was a collaboration with the University of Glasgow’s Dr Paddy Brock. AfterGlow explores the relationship between diseases and the environments in which they spread. 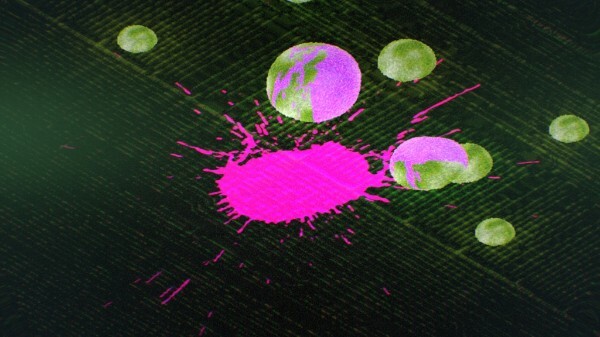 The animation used a mathematical model and gaming engine software to show the relationship between the environment and infection transmission. The exhibition is on display in Derby from 6th February – 6th March and will then be on tour in Birmingham, Liverpool and Dundee.